The Official Hairstylist of the US Open, Julien Farel, along with his styling assistant Amanda Troisi headed to Bryant Park to style Rafael Nadal for his big New York City Reveal of the #TommyXNadal partnership with Tommy Hilfiger. Your backstage access begins here: Julien brings his weapons of hair construction to the Bryant Park Hotel…. 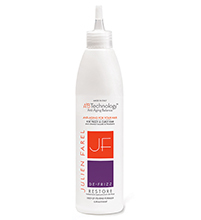 De-Frizz Restore: To Tame Your Frizz! Master Trainer Christine de Almeida Gives Nutrition Tips & Workout Advice! Evelyn Castro Talks Hair Styling, Inspiration and Baking!